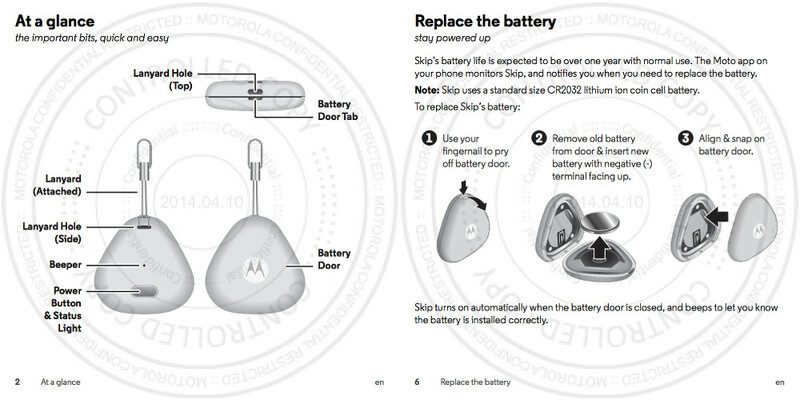 Last year, along with the launch of the Moto X, Motorola introduced an accessory called the Skip (our review). The Skip was an attachable NFC clip that would allow you to skip the unlock PIN or pattern on your device with a simple touch. It really only had that one use. Motorola handed out the Skip for free to those who placed early Moto X orders, but it later retailed for around $20 (now $10). As a follow-up, Motorola is on the verge of releasing a new version of the Skip, this time in the form of a Bluetooth-equipped key fob that has more uses than tap-to-unlock via NFC. 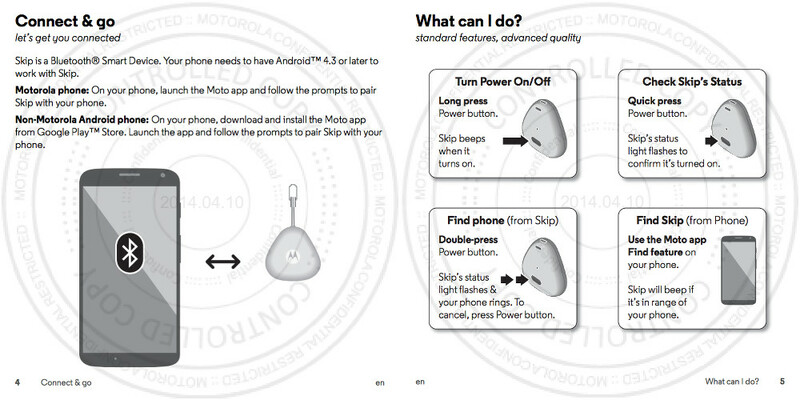 The new Motorola Skip has three major uses, according to its user manual. 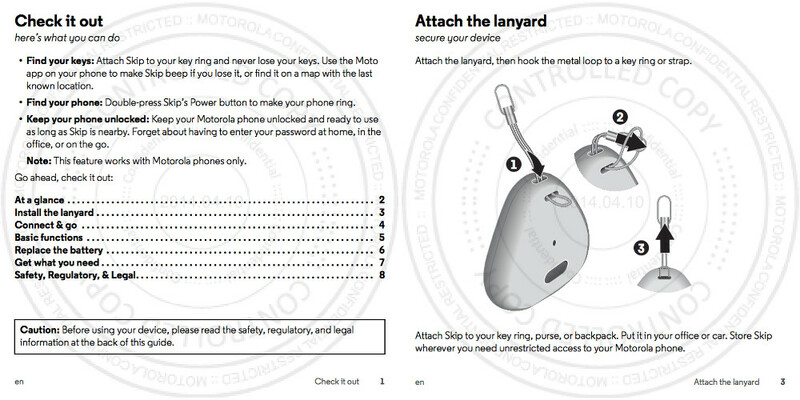 First, the key fob can be used to find your keys, should you attach it to your key ring. Using a companion app on your phone that pairs to the Skip via Bluetooth, you can touch a button that will make the Skip beep or even bring up its last known location via map. Second, the new Skip can also be used in the other direction, to find your phone through a double tap on the Skip’s lone button. Finally, if you have the Skip paired to your phone and lying nearby, it will allow you to quickly unlock your phone by bypassing a pattern or PIN. If you leave the new Skip behind, your phone should then return to its locked state. The idea is that when you are in a secure area with your keys around, you shouldn’t need to enter a pattern or PIN every time you want to use your phone. But let’s say you leave your phone behind some where without the Skip, your device will lock back down. No information has been made available in terms of pricing or availability. 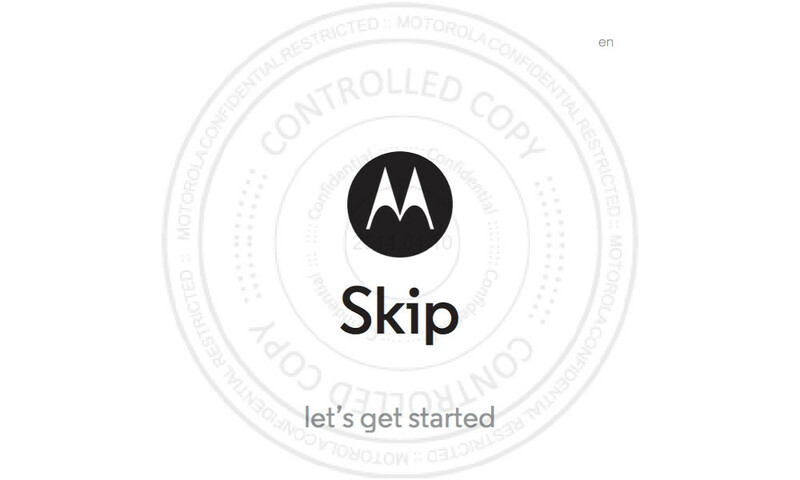 If I were a betting man, I would bet that we will see this new Skip by September 4, when Motorola unveils the new Moto X and Moto G.